Social media analytics focuses on measuring, analyzing and interpreting interactions and associations between social profiles, social media accounts and websites. The main goal of social media analytics is to explore the activity on social networks in order to assess their influence on your business. Not only will learning about your followers’ sentiment help you refine your approach, but it will also help you become more successful at your online activity. Social media analytics represents the process of listening to your followers in order to identify their need and reaction to a certain activity. Listening process also involves focusing on current trends, as this can also help with social media marketing strategy, which ultimately results in improving the performance of whole internet marketing strategy. In the same way, as web analytics helps you analyze your website and its performance in order to improve it, social media analytics will help you analyze the performance of your social media accounts and find ways to improve your social media strategy. Since social networks are inseparable part of any online marketing strategy, this process is crucial for improving this segment of your business strategy. The first part of obtaining relevant data from social media analytics starts with measuring. Here you have to know what to measure and how to measure it. The most common way laymen assess the influence and success of a social media profile (or page) is the number of social followers, i.e. the number of the social network users who follow your account. While this metric does have some relevance, it can be very misleading and it may actually say little about your social media influence. For example, a page might have a thousand followers, but only 5% of them are active and engaged, which leaves a huge number of followers you are unable to reach, and thus those cannot help you improve your business and increase sales. Therefore, you need other metrics to measure and compare them to each other, in order to be able to analyze and interpret the data successfully. Have in mind that you will not have an opportunity to always obtain the data about your social account activity, as some social networks do not provide detailed analytics or they do not have this option at all. While Facebook and Google+ pages have social media insights as an option available to page managers, other social networks do not. However, some of the data can be obtained from trackable links, which might be enough to get the idea about the number of people who clicked on the link. Additionally, this problem can be solved using publishing tools such as HootSuite. 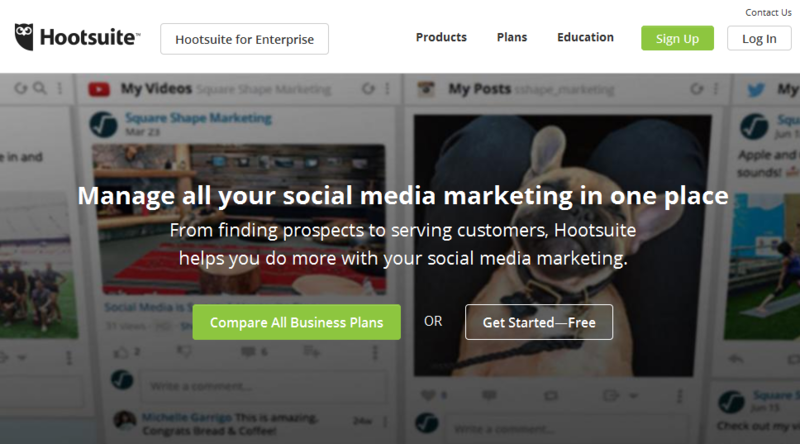 This tool, as well as other similar social media management tools, allows accessing social media statistics for different social media accounts you are managing through this tool. Depending on the tool you use, some parts of the analytics might be available to you, while you might need a paid account to access all the features. The best idea is to first use a free version or a free trial, and then upgrade, as you want to go deeper with data analysis. 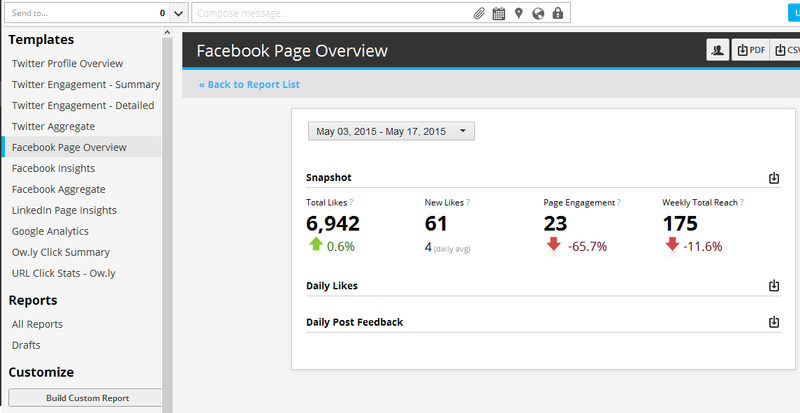 For example, HootSuite offers free overview of Facebook page activity, as well as Twitter profile overview. The data are available in a form of report that can be downloaded, which is perfect if you need to analyze the data offline. 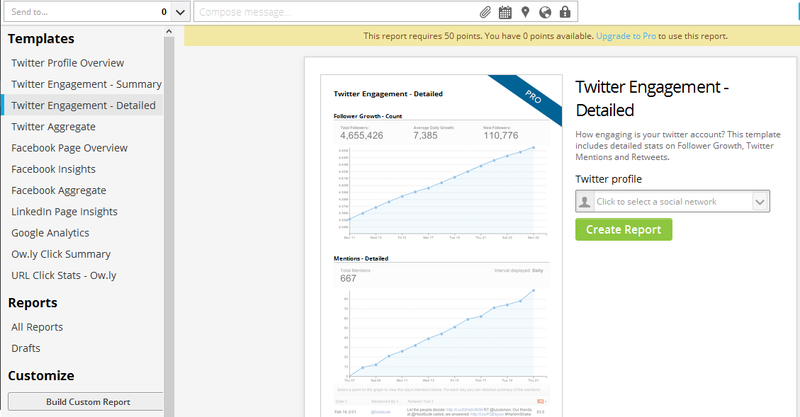 On the other hand, if you want to access detailed Twitter engagement statistics, as well as other statistics reports, you will need a pro account to generate these reports. Once you have all the data, you should compile a report to represent all of your findings, as this will make the following step, the analysis, much easier. Some tools might generate a report for you, while you can always create your own with screenshots to illustrate graphs and spreadsheets to note the data about the activities you have been measuring. Having all the data in front of you allows you to analyze the performance of your social media activity in order to determine what the data mean. The second part of your process where you assess the influence of social media consist of analyzing the data related to the activity of your social media activity. You should analyze and compare the data in order to get a clear picture on how social media activity affects your business and whether this is something you should invest in. When it comes to analyzing the performance of the posts and types of posts that were published on your account, this is important aspect that will help you determine which approach yields best results. This will help you refine your approach to social media by choosing to post the type of content that results in greatest engagement level. 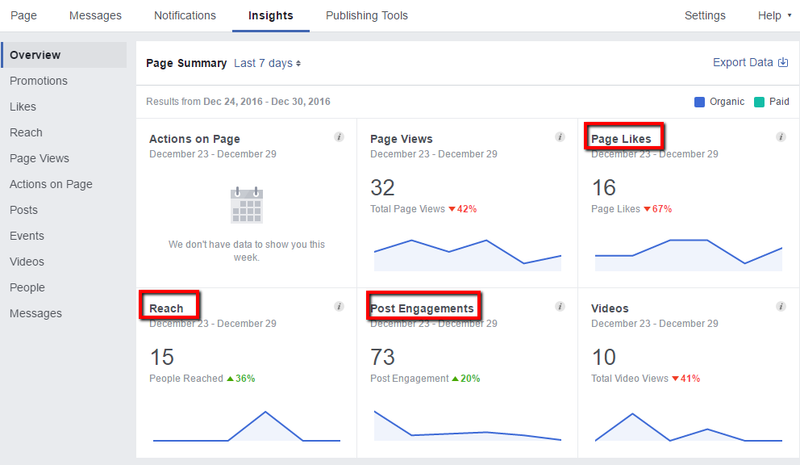 Besides the types of posts, social media analytics can help with optimizing social media activity by choosing when to post. If posts published at certain time of day are the posts with the highest engagement level, this means that you are most likely to reach your followers at that specific time. You should also analyze the traffic on your website that is generated through social networks. Besides identifying the number of clicks, you should also explore the user path so that you can find out if you were able to convert the visitors that came by clicking on a link posted on social networks. Analyze and compare the data from different social networks in order to compare the success of each of them, as this might be a signal for you that some social networks are just better for your company than others, in terms of generating more traffic and more conversions. If this is the case, you should consider focusing on those social networks that help you generate the highest traffic volume and conversions. The final stage of social media analytics is to interpret how social media activity affects your business. The most obvious way to interpret the data is to determine the exact number of conversions and find out how much each conversion is worth. You should be able to calculate the amount of assets you needed to invest and compare that with the results you have obtained from the analysis of your social media activity, and you will be able to calculate the exact value of a conversion achieved through social media. Ultimately, this will help you evaluate the success of your social media activity, and whether you should be focusing more on social media. Besides the value of a conversion, social media can also help with branding, which is more difficult to calculate using social media analytics, as it cannot be quantified. Branding is your online reputation and influence, so the best idea to evaluate if you were successful in branding through social media is to analyze the popularity and relevance of your social media account. Having a lot of followers and high level of engagement are some of the indicators that signify that you enjoy a lot of popularity on social networks, and that a lot of people became familiar with your brand through social media. Additionally, the number of reviews and recommendations can be a proof of good reputation and a signal that your brand is popular among online users. Both conversions and branding will help you improve your business in terms of profit. Therefore, in order to fully assess the importance of social media activity to your business, compare both of these to the current situation in your company. You should also take into consideration the situation before the implementation of the social media strategy, so that you can determine the effect social media have on your business.